Amber Jefferies: Father's Day Gift Guide! I can't believe it's almost Father's Day! Like.. weren't we just celebrating Valentine's Day?! Ah time flies! I tried to start shopping a little early this year. My dad [and I think many other dads - and actually guys in general now that I'm thinking about it] is HARD to shop for. Every time I ask my dad what he wants for Father's Day, birthday, Christmas, etc. he pulls out the "I don't need anything." Ok, well what do you WANT? "Oh, I don't know." So here I am. More than a week before. And I actually have some ideas! 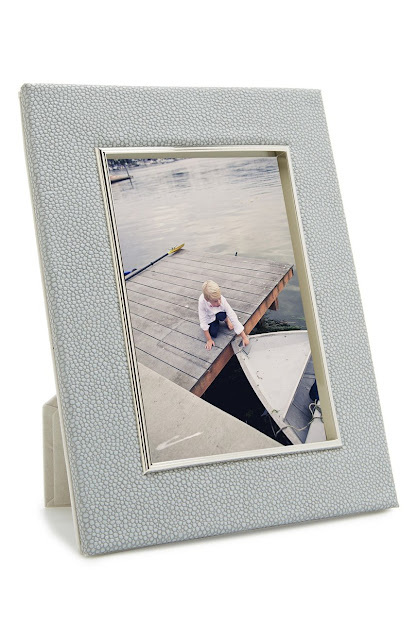 A picture frame with a picture of you and dad will be an automatic win! A dad should always have a good cooler. 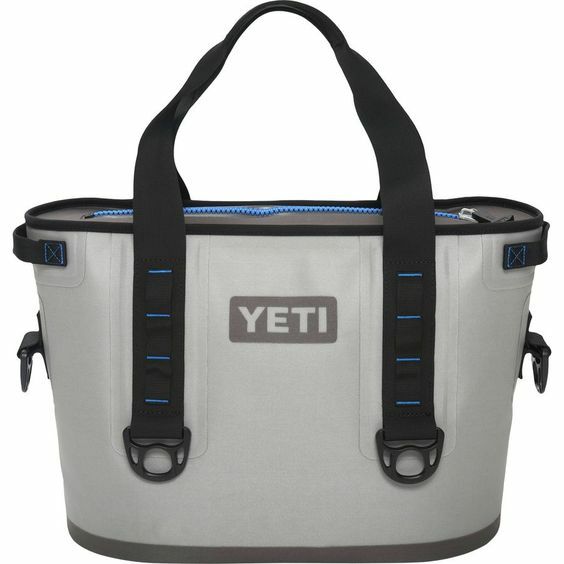 A lot of people have Yeti's by now but my dad does not have a soft-sided Yeti. He did recently get this one though, and he LOVES it. It is made out of the same leather they use on boats. 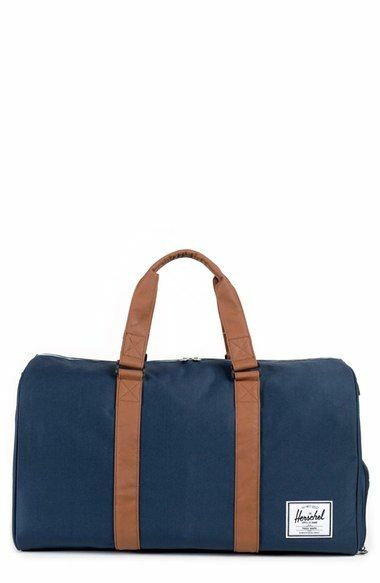 Add a little monogram and THAT'S what I call a good duffle bag. 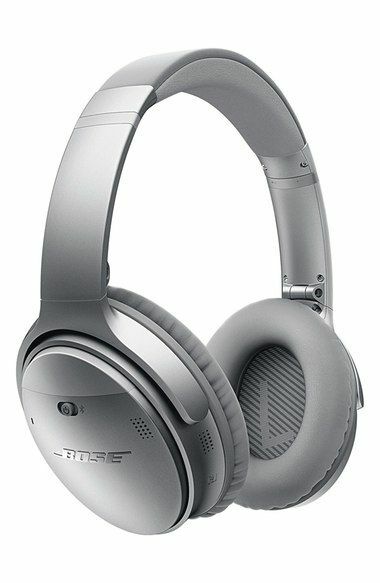 There are actually a lot of good options out there but this one is under $100! You also can't go wrong with a good toiletry case like this one, this one or this one. 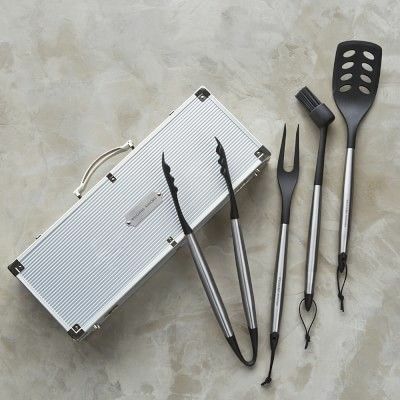 Grab some good grilling tools for a dad that loves to be outside cooking! I want to get my dad this flexi basket made for cooking fish on the grill. We got a few of these roasting pans for our wedding and we really like them! You can use them to grill so many different things. 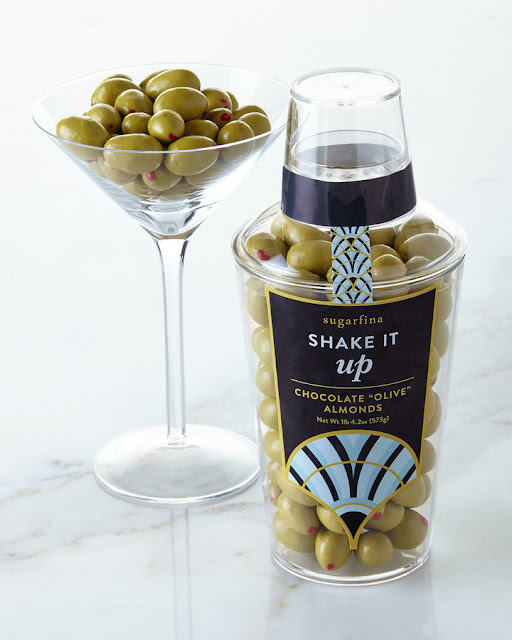 Another thing I think makes a good gift is this rub set. Hunter got one for Christmas and uses it all the time! If your dad is anything like mine, he loves a good [or bad] day of fishing! 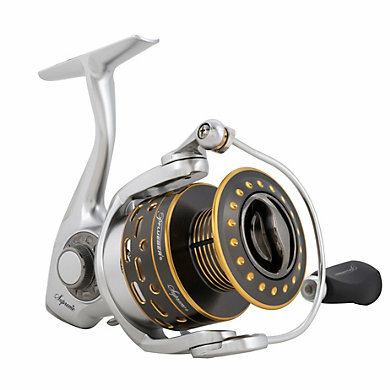 My dad recommended this rod and this reel when I was looking for a gift for Hunter. My dad is HORRIBLE with technology. I mean it's bad. BUT let them think they know it all with some noise cancelling headphones, a FitBit or a cool iPad case. © Amber Jefferies: Father's Day Gift Guide!